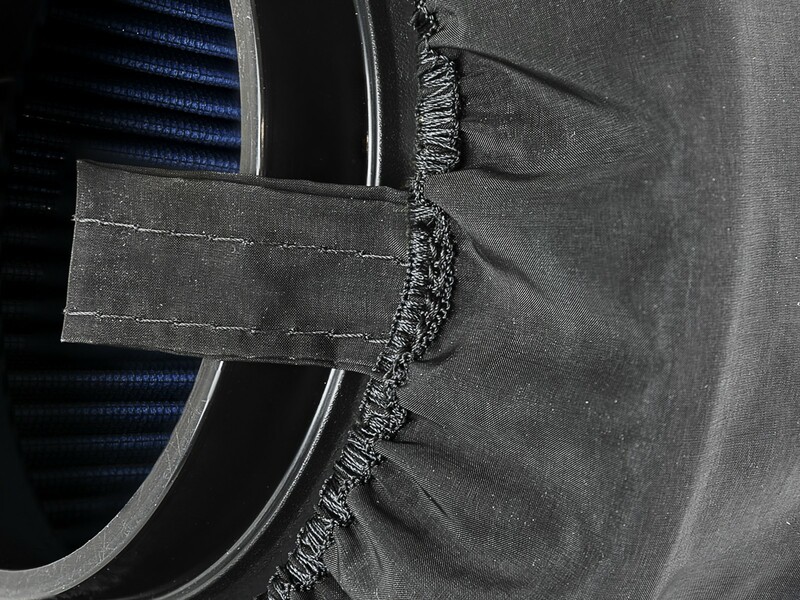 aFe Magnum SHIELD Pre-Filters protect your performance air filter and extends your filter cleaning intervals by removing large particles like twigs and bugs from the air stream prior to the air filter. 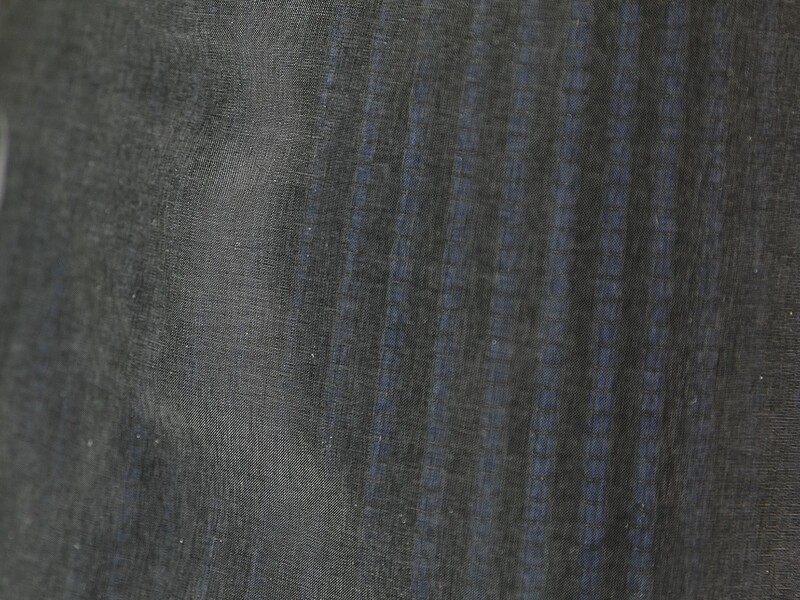 This pre-filter is made of a dry weave fabric that does not attract dirt and cleans with soap and water. The aFe POWER logo is silk screened on the pre-filter to let everyone know an aFe Quantum intake is powering your rig. 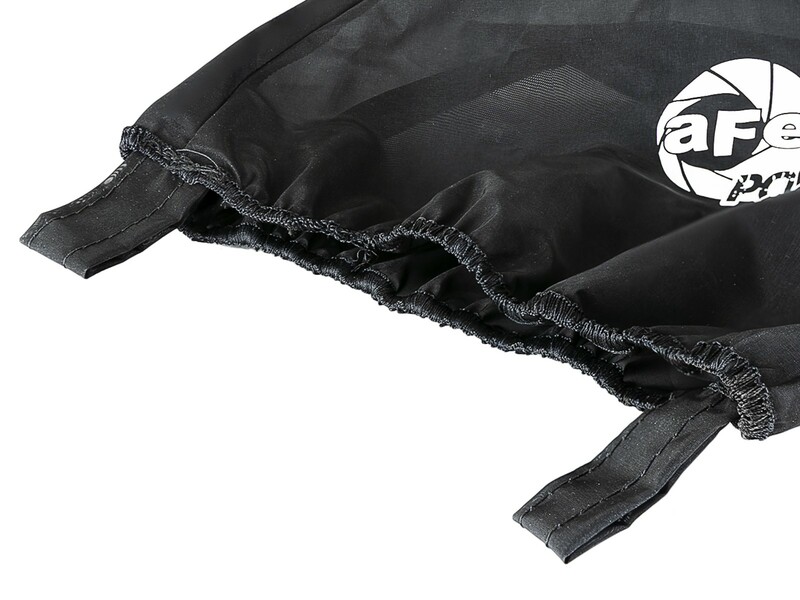 Construction: Made out of dry weave polyester fabric, the pre-filter repels water and dirt with minimal affect on air flow. Simple Maintenance: Easily cleaned with soap and water. 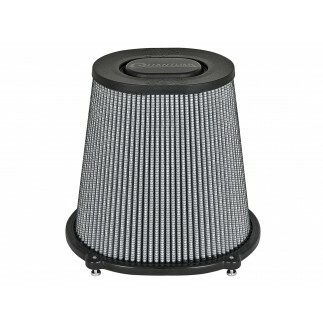 Protection: Pre-filters protect your performance air filter and extends your filter cleaning intervals. Hassle-Free: Each pre-filter is made for the filter its paired with. 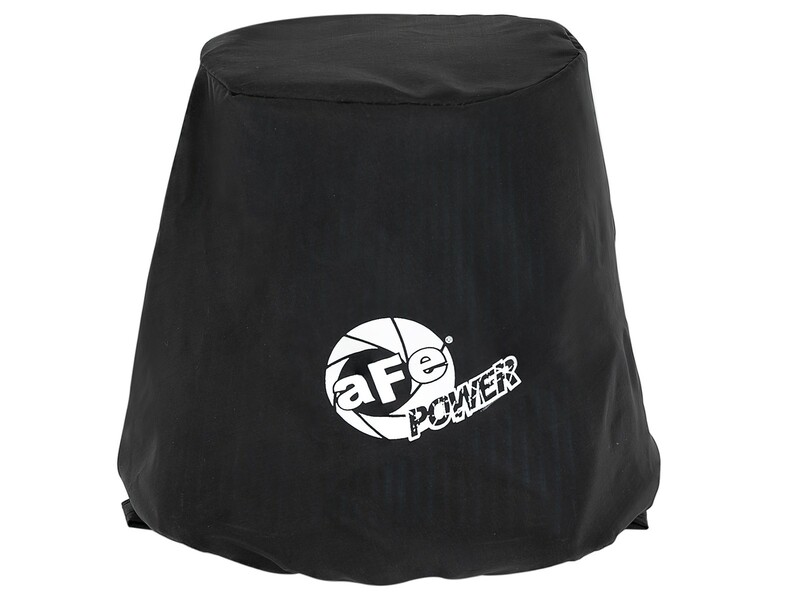 Just slip on the aFe POWER Pre-filter with its convenient pull tabs for instant protection.